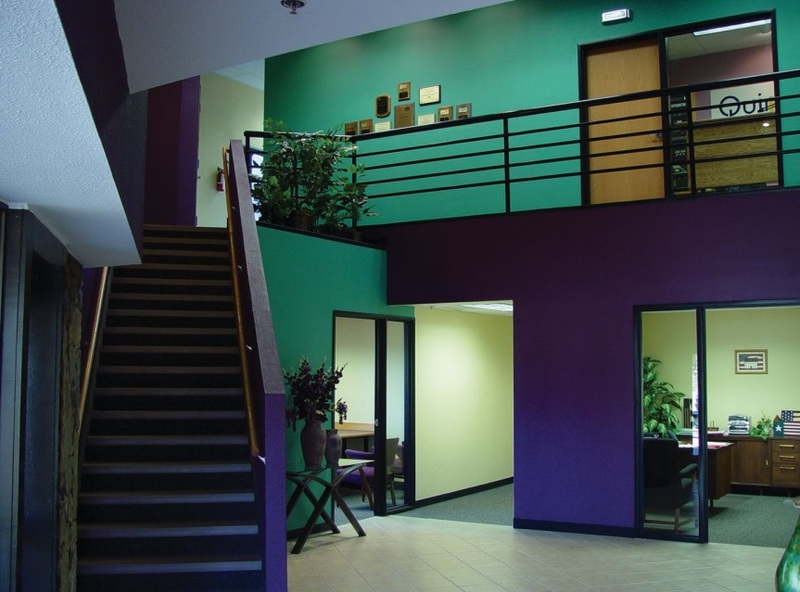 The interior of an existing two-story building was totally gutted for the renovation of offices and studio space for this Enid radio station. 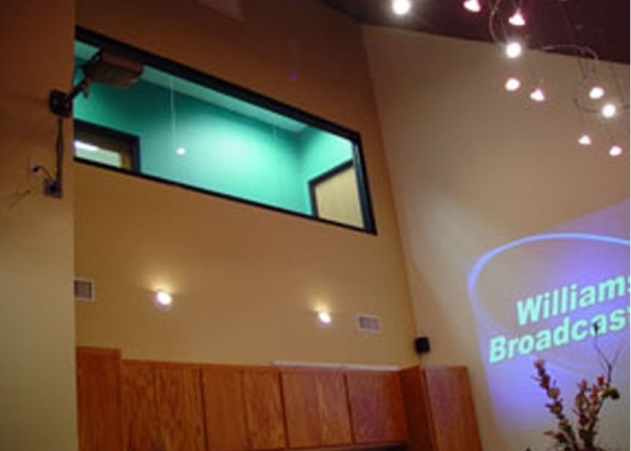 A second floor window wall overlooks the first floor conference room. 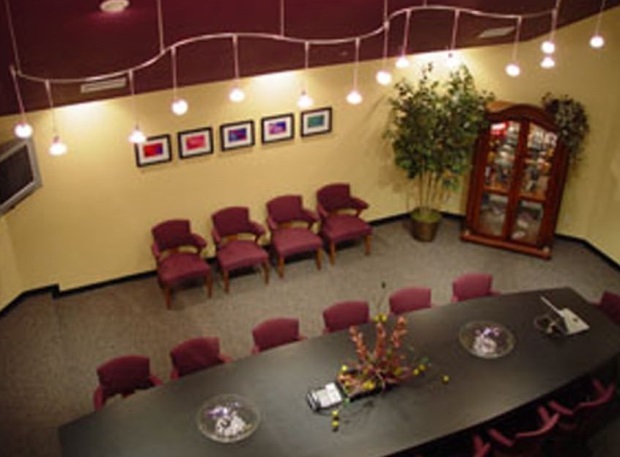 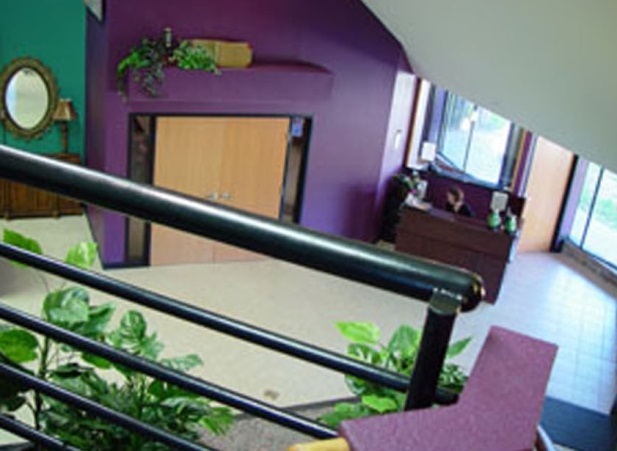 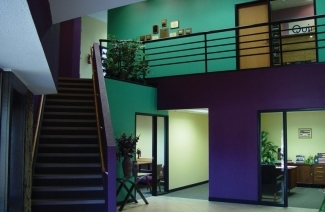 We designed the studio furniture and provided designs with a creative use of interior wall angles, colors and lighting.